Having all your possessions in someone else’s hands can be frightening. And you may be shipping furniture to relatives in another city while your belongings go with you. Finding a moving company that is reliable, responsible, “gentle” on belongings, and affordable could be a complicated task. Using my team of experts, I make sure that your move will be as smooth and stress-free as possible. When you work with me, you are taking advantage of the connections I have and the experience of knowing how to avoid being ripped off! The process of finding the right moving company for you will probably take this much time. My Personal Move Consultant requests bids from several reliable movers, checks their references, and helps you make your final decision about which company is the best value for your money. Moving companies will need time to fit your move into their schedules, especially in the summer months, which is their busiest time of year. By using the services of a Personal Move Consultant, you can be sure the estimates will be as lean as possible. My Personal Move Consultant has many years of experience in the moving business and knows how to get the best bid for your move. Having several estimates will give you a good idea of how much your move will cost. Keep in mind that certain movers offer estimates that are outrageously low, and then hand you a large bill when the move is complete. In order to avoid this predicament, my estimator will always make sure that any estimates you receive from movers are either binding or include a “not to exceed” clause. Decide in advance which goods will be shipped and which will be sold or given away. Then consider whether or not you would like the mover to pack and what other type of additional services you may want. Remember that packing is always a separate bid from moving. An estimator from Personal Move Consultants will come to your home and create a bid. Moves that are less than 50 miles away are usually priced by the hour. 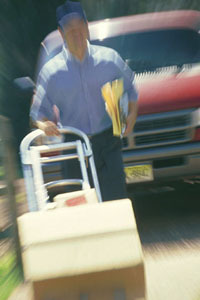 For longer distance moves, estimates are based on weight, usually per 100 pounds. My Personal Move Consultant will ask you for information about unusual situations on either end so your estimates will be more accurate. Make the mover be aware of any problems they may encounter at the delivery such as parking problems, road access, street accessibility, delivery time restriction or if there are any stairs or elevators involved. The cost of your move can increase for such occurrences. Try to reserve a “parking space” for the moving van if your new home is on a congested street. If the moving crew has to carry your load more than 75 feet from the moving van to your door you may be charged for excessive distance. Non-Binding or Hourly Rate – This is not an estimate at all, only a price list. These rates are based upon the movers’ previous experience of jobs similar to yours. Not To Exceed – This quote is binding only on the mover. The final price for the move cannot exceed the estimate figure; but if the move comes in under the estimated amount you pay the lesser price. Bids are created by using a “Table of Measurements” that assigns a certain number of cubes to each room. In moving lingo, a cube equals 7 pounds. Estimators will multiply the number of final cubes by 7 to determine the price. Estimates should include all moving charges, such as carrying up stairs or in an elevator, overtime, additional transportation, moving bulky articles, carrying an excessive distance, storage, and more. These types of charges usually involve obstacles the mover has to overcome, which you can determine ahead of time and include in the bid. Packing bids should state not only labor charges but the amount and cost of boxes. Make sure each bid is estimated the same way, so you can easily make comparisons. Can you provide recent references from other customers you’ve moved? My Personal Move Consultant will discuss the cost of insurance coverage with you ahead of time. Make sure you understand the coverage for loss or damage of your shipment. All licensed movers must provide liability for the value of goods, which they transport. But there are different levels of liability. You must be aware of the amount of protection provided and the additional costs that may apply.